tournament schedule for qualfication times. worth 85 points. Starting with 4th place, points will reduce by 1 point. The minimum points that can be earned by a player is 1 point. A Friday composite score will be calculated for each player. This composite score will consist of all points scored on Friday for each machine in the event. Scores from Friday will not carry over to Saturday. Friday qualification will represent +6 significant games under the new IFPA point system. The top five composite scores will earn a spot in the Top 10. 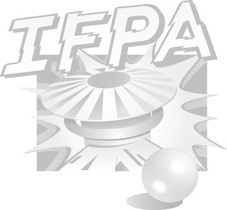 Saturday will represent six significant games under the new IFPA point system. winner and will earn the 5th place spot. total will earn the top rank. Lowest point total will earn the 12th rank. together. Players will be ranked according to this composite score. If players are tied for any other at large spot, the player with the better IFPA ranking will be considered the better seed. of 8, qualification rankings would be used. So Seed 8 would be 5th seed. Seed 10 would be 6th seed. Seed 15 would be 7th seed. Seed 20 would be 8th seed. playoff structure is based on 40 players. fewer players. The Finals may be modified to add more games to reach 100% Grade. Entering the playoffs, the event will be worth a grade of 68%. Each significant game in the playoffs will add 4% until 100% is reached. Players will be grouped into six groups based on seeding. The top 4 seeds are not included in any groups. The best seed is the lowest number, which is 1. The worst seed is the highest number, which is 40.
seed. This will continue until all matches are associated with a game title. Round 1 : +1 game, 13 total, 72% Grade : Seeds 29-40 enter match play. Players losing in Round 1 are ranked 35-40 & move to "C" playoffs. Round 2 : +1 game, 14 total, 76% Grade : Seeds 23-28 enter match play. Round 3 : +1 game, 15 total, 80% Grade: Seeds 17-22 enter match play. Players losing in Round 3 are ranked 23-28 & move to "B" playoffs. Round 4 : +1 game, 16 total, 84% Grade: Seeds 11-16 enter match play. Players losing in Round 4 are ranked 17-22 & move to "B" playoffs. Round 5: +1 game, 17 total, 88% Grade: Seeds 05-10 enter match play. Players losing in Round 5 are ranked 11-16 & move to "B" Playoffs. Round 6: +1 game, 18 total, 92% Grade. Seeds 03-04 enter match play. "C" Semi #1: 3-Player Match (1,4,7). One Game. Worst score eliminated from "C". "C" Semi #2: 3-Player Match. (2,3,6) One Game. Worst score eliminated from "C". Players losing in Elite8 are ranked 07-10 & eliminated from "A" playoffs. "C" Finals: 4-Player Match. One Game. Rank 1-4 "C" based on score. "B" Quarter #1: 4-Player Match. (1, 12, 4, 9). One Game. Bottom two scores eliminated from "B"
"B" Quarter #2: 4-Player Match. (2, 11, 5, 8). One Game. Bottom two scores eliminated from "B"
"B" Quarter #3: 4-Player match. (3, 10, 6, 7). One Game. Bottom two scores eliminated from "B"
Players losing in "A" Quarter-Final are ranked 05-06 & eliminated from "A" playoffs. Round 8: +1 game, 20 total, 100% Grade. Seeds 01-02 enter match play. Semi-Final Matches. "B" Semi #1: 3-Player Match. One Game. Bottom score eliminated from "B"
"B" Semi #2: 3-Player Match. One Game. Bottom score eliminated from "B"
Players losing in "A" Semi-Final are ranked 03-04 & eliminated from "A" playoffs. Player losing in Round 9 is ranked 02. Winning player is Tournament Champion & ranked 01. Estimated 25 minutes per round. Total Estimated Playoff Time is 3 hours 45 minutes.